There are 2 topics that interest me more than most things, they are inflammation and diabetes. 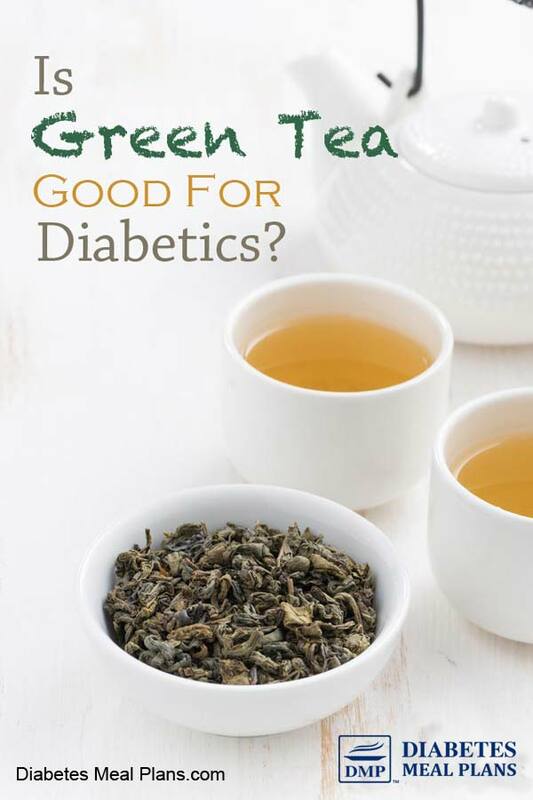 I'd heard that green tea was good for diabetes and in reducing inflammation, so I decided to dig into the research behind green tea, to see if it really is as great as I've heard it is. To tell you the truth, neither did I, but they both come from the ‘Camellia sinensis' plant. Green tea is unfermented and dried, while the black tea is fermented and treated to get a darker, different tasting tea. The fermentation process effects the nutrient profile of the tea, having the most impact on the phenolic compounds in the plant, because these are where we get the benefits. The type of inflammation we're talking about here is not arthritis, it's inflammation that occurs at a cellular level. Lots of research now shows that inflammation is contributing to the development of many conditions, including type 2 diabetes. The catechins in green tea help target those inflammatory cytokines and stop inflammation running wild. The powerful anti-inflammatory effects of green tea are what appears to help the most. BUT it also shows many other great benefits as well. Although some population studies have shown green tea helps lower blood glucose, when researchers have done small trials with type 2 diabetics, the results have been mixed. Some researchers have found a slight benefit to blood glucose, while others have found no effect. One thing that the polyphenol ECG might help with is the livers production of glucose. This is one area that often mystifies people, you know, where your morning blood sugar is high or when you haven't eaten anything? That's the liver still producing glucose. So researchers have shown that green tea can help with this and assist in aiding the insulin receptors. And while green tea might not directly influence blood glucose, researchers found that A1C levels were significantly reduced when type 2 diabetics were given green tea extract for 2 months. A study in rats fed a high fructose diet or a high fructose with green tea diet showed that the rats only fed the high fructose diet developed high blood glucose, high insulin, and high blood pressure. But the rats given the green tea showed improvements in all areas, particularly with insulin resistance. The researchers thought that the GLUT4 transporter involved in helping insulin into the cells was stimulated by the green tea. When researchers did a trial on humans they didn't find a direct result like they did in the mice, but they did notice an influence on insulin that suggests further research needs to be done in this area. Reactive oxygen species (free radicals) are a major cause of inflammation in heart conditions, and we already established that green tea helps scavenge those, so that’s one great benefit. Surprisingly green tea also decreases absorption of triglycerides and cholesterol and enhances fat excretion. It also has the added benefit of decreasing the oxidation rate of LDL cholesterol. This is great because oxidized LDL has been shown to be the major contributor to blocked arteries that lead to heart attack and stroke. “The cardioprotective effect of flavonoids from green tea can be attributed to not only antioxidant, antithrombogenic and anti-inflammatory properties but also improvement of coronary flow velocity reserve”. All and all, that means it has some great benefits for heart disease, and since diabetes increases your risk of heart conditions, this can only be a good thing. So it seems that green tea has multiple beneficial effects across a large variety of conditions and is very beneficial for type 2 diabetics. The effects come mostly through it's anti-inflammatory capacity but also through a variety of other mechanisms as well. 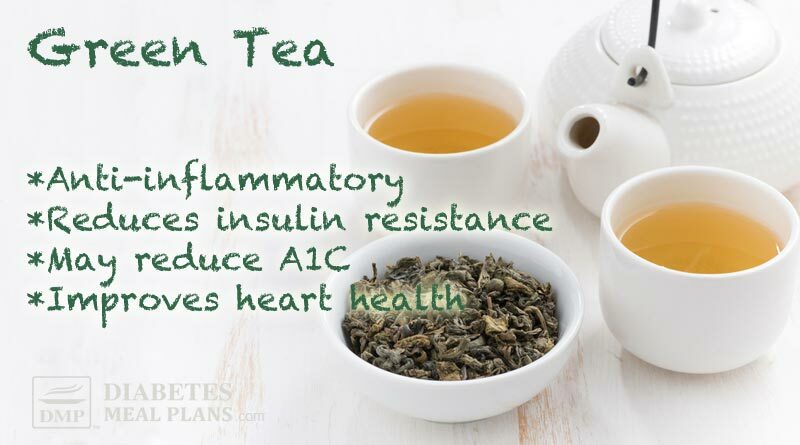 I like that you mentioned how green tea can reduce the risk of heart disease that diabetes can increase. I’m at risk for hypertension because my mom had it, and I’m also pre-diabetic. Maybe I should buy pure green tea online so I can have plenty to keep me healthy.